Brian has a million vague life plans but zero sense of direction. So when he meets Rachel, a self-possessed woman who daydreams of bicycling across the States, he decides to follow her wherever she'll take him. Brian and Rachel soon embark on a ride from northern Wisconsin to Somewhere West, infatuated with the promise of adventure and each other. But as the pair progress from the Northwoods into the bleak western plains, they begin to discover the messy realities of life on the road. Mile by mile, they contend with merciless winds and brutal heat, broken bikes and bodies, each other and themselves—and the looming question of what comes next. 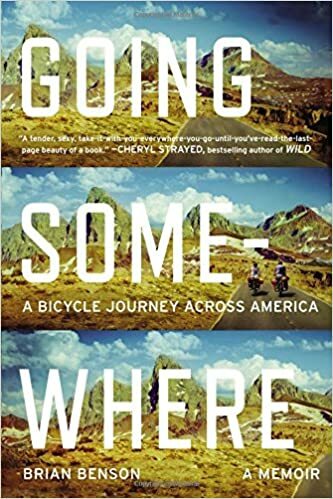 Told in a voice "as hilarious as it is wise" (Cheryl Strayed), Going Somewhere is a candid tale of the struggle to move forward.